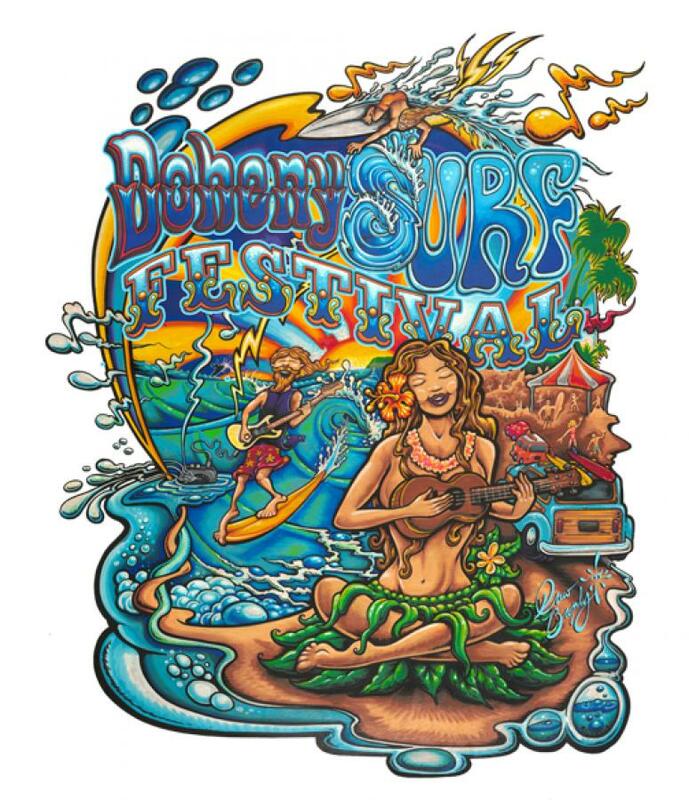 Dana Point, Calif., July 18, 2012 - The Doheny State Beach Interpretive Association (DSBIA), San Onofre Foundation (SOF) and Utopia Entertainment, Inc. are producing the Doheny Surf Festival coming to Dana Point, CA, August 11-12. This fundraising event helps support San Onofre, San Clemente, Trestles and Doheny State Parks. The two-day event, presented bySubaru along with supporting sponsors Kona Brewing and Rubio’s, is an expanded version of the summer surf event that has been held for the last four years. It will include all things Surf: exhibits, woodies, vintage surfboards, music, tandem surfing, nose riding, Outrigger Canoe and SUP demonstrations, Kids’ Corner, environmental and ocean education, state park wildlife, autographs and photo opportunities with surf legends as well as current professionals. A major music lineup includes headlinerEddie Money, as well as Everlast, Fishbone, ALO, Honk, Common Sense, Paula Fuga, Le Blorr plus others will entertain 3,500 concert attendees each day. 20,000 attendees are expected to visit Doheny beach during the two-day event. “We have loved producing a great event over the past four years,” says DSBIA President Bill Brooks, “We’re very excited to have such great sponsors this year, they all comprehend the importance of keeping these legendary beaches maintained and protected; as does our commissioned Surf Fest logo artist and San Clemente resident Drew Brophy.” Brophy stated, "Doheny and San Onofre State Parks are some of the most enjoyed and valuable surfing areas in California and even the world. I am stoked to participate in anything that preserves these natural playgrounds for our future." Nearly 70 State Parks are slated to close in 2012, and the budgets for the remaining Parks are being slashed. The SOF and DSBIA are California non-profit public benefit charitable corporations, dedicated to protecting the treasured State Parks and Beaches of San Onofre, Doheny, Trestles and San Clemente. Although these parks are not on the closure list, SOF and DSBIA depend on donations to preserve and operate these parks for over two million yearly visitors. There will be something for everyone in Vendor Village. Beer and wine will be available in the Kona Brewing beer garden; great food fare and beverages will be served by LA Gourmet Food Trucks and eateries that have supported surfing through the years, among them, Daphne’s California Greek, Nalu’s Island Grill and Rubio’s. Doheny State Beach became California's first state beach on May 31, 1931. Steep in surf culture it remains one of Southern California’s most famous beaches and is one of California’s most popular camping grounds. The beach covers an area of 62 acres and includes a day use surfing beach at the northern end, as well as campgrounds in its southern area. SOF and DSBIA are California non-profit, charitable corporations. They work co-operatively with California State Parks to provide education, protection and promote these State Beaches as “World Treasures” that must never be compromised. They foster a comprehensive stewardship of this unique recreational resource, with its historically important sites and environmentally significant setting. Their mission is to enhance the rich cultural and natural history of this magnificent coastal zone for the park’s main stakeholder groups, including surfers, cyclists, campers, hikers, Native Americans, the Military, environmentalists and others. This entry was posted in Surf Events at Doheny. Bookmark the permalink.